The cause of the fire in Trump Tower earlier today has been revealed by New York fire authorities. 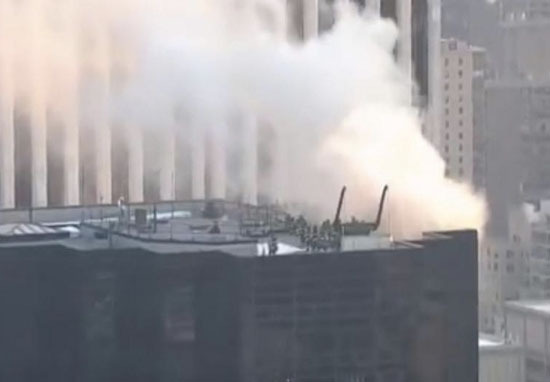 The fire broke out on the roof of Trump Tower this morning on January 8, and was reported to the authorities at 7.20pm. The fire from the Fifth Avenue property could be seen across the city, with plumes of smoke carrying for several blocks. According to The New York Daily News, the FDNY have revealed that it was caused by the building’s heating and cooling system. While it’s understood the fire has been ‘knocked back’, firefighters are currently in the process of making sure it doesn’t spread to any other parts of the building. There’ve been no injuries immediately reported and the cause of the blaze was unknown at the time. It’s thought President Donald Trump was not in his apartment during the time of the fire and was residing in Washington.